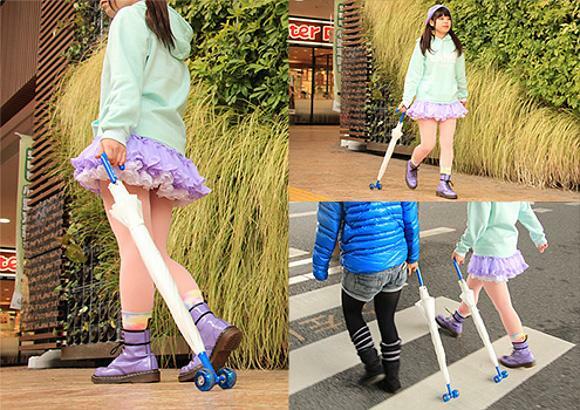 A rolling umbrella for those not rainy, rainy days! We’ve all had those days where it’s cloudy overhead and seems like it’s going to rain. You bring out your umbrella but then it doesn’t rain. Now you’re out and about carrying an umbrella that you don’t need, which can be long, unwieldy, and downright just a hassle. Don’t you wish there was an easier way to carry it? 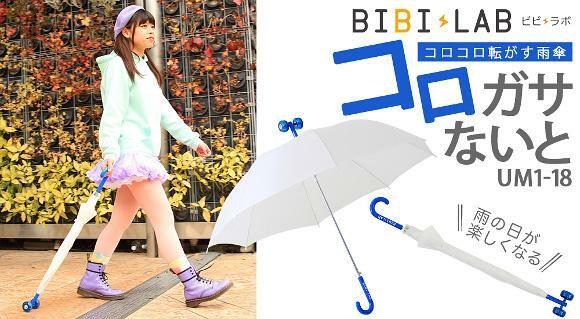 Bibi, Lab, a company known for making some unique creations, such as sailor style schoolgirl outfits for men, has come up with a solution to for just that problem with the new rolling umbrella. As the name implies, it’s an umbrella that you can roll along behind you when not it use, making it easier to carry around, preventing you from hitting people while swinging it around or from dripping water all over yourself. Won’t it be heavy to carry with the wheels added to the tip? Well, even with the wheels, it’s still quite light, weighing in at about 24 ounces (1.5 lbs), and it’s not much longer than your average umbrella, at about 84cm (33 inches). 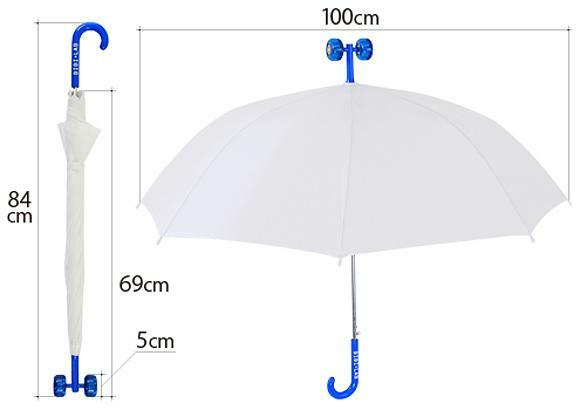 Bibi Lab’s suggested retail price for these rolling umbrellas is 4,400 yen or almost $40 USD, however, you can grab them for a discounted price at Amazon Japan and Rakuten, which has an especially amazing deal on these rolling umbrellas right now, selling them for 1666 yen or around $15 USD, shipping fees not included yet. Grab one now before the prices go up if you’re interested! 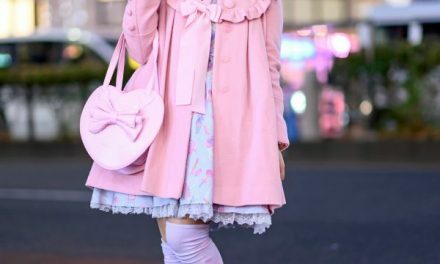 PreviousThese remote-controlled robot arms can’t possibly make my skirt any cuter!